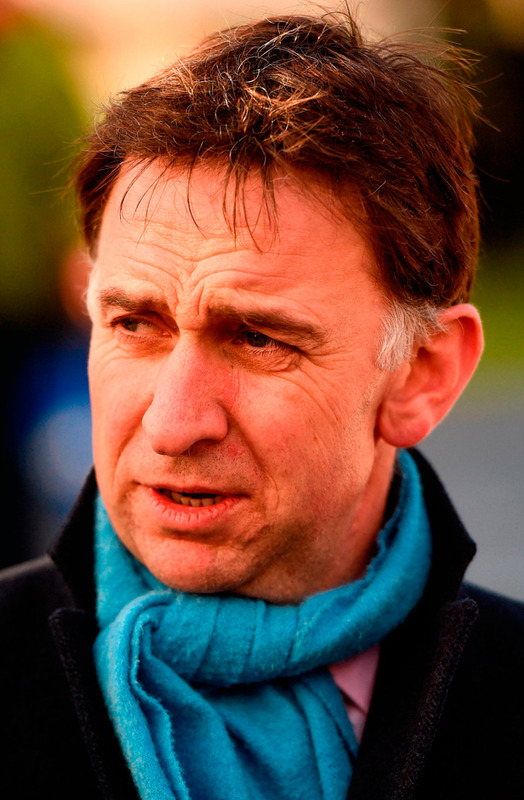 Henry de Bromhead's excellent Christmas Festival continued when Mind's Eye completed a double for the trainer in the Top Oil Novice Handicap Hurdle at Leopardstown. Successful at the second time of asking over timber in maiden company at Fairyhouse last month, the five-year-old was handed an initial mark of 125, and he seems quite a few steps ahead of the handicapper. He was absolutely cruising approaching the last and, while Davy Russell had to work a bit harder than looked likely at that point, the 4/1 favourite never looked in danger and fended off Darkest Flyer by three-quarters of a length. De Bromhead), who also landed the maiden hurdle with Dicey O'Reilly, said after his seventh winner of the meeting: "It's been fantastic. It's great to get two more winners with two nice horses. I'm delighted for everyone at home." Of Mind's Eye, the handler said: "I was worried about the trip with this horse, but he did it really well. Nobody else seemed to be worried and Davy gave him a beautiful ride." Having finished a well-beaten fourth on his hurdling bow at Cork, Dicey O'Reilly was a largely unconsidered 18/1 shot in the hands of 5lb claimer Dylan Robinson, but was always prominent and came home best in the straight to score by three-and-a-half lengths.